This black and white photograph shows a group of men who helped build the north wing of the Capitol in Topeka, Kansas. 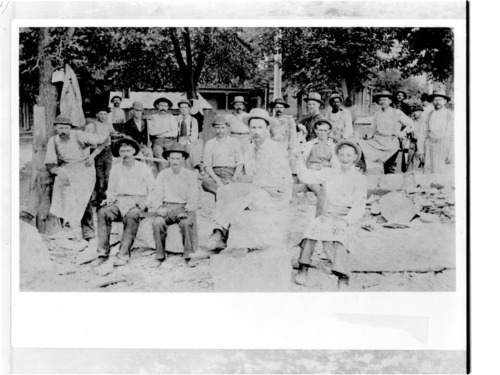 The men cut and shaped the limestone used to construct the building. Work began on the capitol on October 17, 1866, when the first cornerstone was laid for the east wing. Thirty-seven years later, the statehouse was competed at a cost of $ 3,200,588.92.